Paula Work believes that art is fundamental. “I feel it’s sort of a core thing that can help you learn about yourself – whether you become an acting artist or not,” Work shared. Work teaches drawing, painting and printmaking at Pensacola State College and strives to impart what she’s learned – both as a student and an artist – to those who take her class. A Tate High School graduate who says she grew up in Pensacola “for the most part,” Work attended Pensacola Junior College from 1980-82. Work named several of her instructors at the time ─ Michael Boles, Sue Buck, the late Bill Clover, Don Hebert and Allan Peterson ─ who all encouraged and supported her. She credits them with providing her with a solid foundation that allowed her to move on to attend the prestigious School of the Art Institute of Chicago (SAIC). After graduating from SAIC with a Bachelor of Fine Arts degree, Work remained in Chicago and used her creative talents for window displays and store merchandising. “It was fun and everything, but I just wanted a deeper meaning to what I do … as an artist, I had a higher ambition, I guess, so I decided to go to grad school,” she recalled. While attending Western Michigan University in Kalamazoo on a graduate fellowship, Work tutored several Japanese students and was intrigued by the idea that no matter what their area of study, they were all able to communicate through art. That realization led her to apply for the Japan Exchange and Teaching Program (JET) and as soon as she earned her master’s degree, she was on her way to immerse herself in the Japanese culture. “I liked that idea of doing something completely new,” Work explained. Work completed the two-year JET program and decided to stay in Japan, where she met and married a local high-end restauranteur and continued to offer private drawing and language lessons. “Japan was just a constant visual experience in everyday life,” she said. Work and her husband came to Pensacola to visit in the late 1990’s and the couple decided to relocate to the States. They moved to Pensacola permanently in 1999. Work hired on with Gayfer’s department store as a merchandise display artist, but after meeting with Peterson, who chaired the art department from 1985 to 2005, she decided to come back to Pensacola State and teach a class, “Art for non-majors ─ it was a really great class,” she said. She served as an adjunct instructor from 1999-2014, but Work became full-time later that year after receiving the College’s 2014 Teaching Excellence Award. 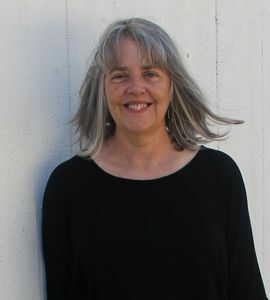 Her work has been exhibited in The Art Institute of Chicago and at galleries in Chicago, Michigan and Japan, as well as locally at the Artel Gallery. Work believes Pensacola State offers students an opportunity to live at home and save money while building their foundation to go on to prestigious art schools. Work added she has seen some of her students stay at Pensacola State to earn their bachelor’s degree. While teaching the basics of drawing is her job, she hopes that she is able to reach her students beyond just being their art instructor.